As part of meeting Building Regulations, you must use adequate materials and implement fire safety procedures during the construction of a dwelling to allow for safe evacuation should a fire occur. So a fire safe building is created, dwellings must comply with Approved Document B Volume 1, unless they are above a certain size or are considered non-standard unusual properties. In those instances, premises may need to also comply with guidance outlined in Volume 2, which refers to other buildings. In buildings with open plan living, equipment must be introduced to help prevent the spread of fire and allow for safe evacuation from the premises. For instance, dwellings with open plan living in the lower levels of the property must have a barrier in place to allow for evacuation from the upper storeys should a fire occur downstairs. A barrier, such as a fire curtain, that blocks off the open plan area from the staircase can create a safe exit route when deployed. 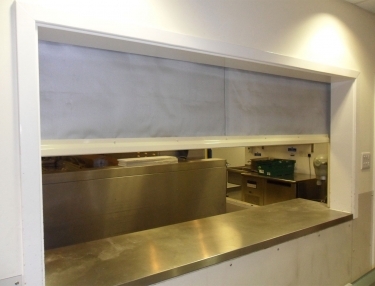 Fire curtains may also be installed in high-risk areas within the home, such as the kitchen space. Installation of a curtain, such as the Fire Guard Fire Curtain FC120, will provide adequate protection. 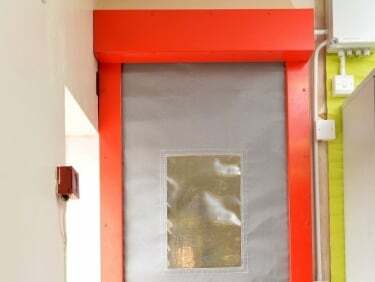 Tested to BS476: Part 22 1987 & BSEN 1634-1:2008, the curtain provides two hours of fire protection, can be linked to alarm systems, and has powder coating options available for the steel overhead box for a more discreet appearance within the home. HAG provide, install, and maintain fire curtains for commercial and domestic premises. For more information about complying with Building Regulations by installing a fire curtain, please speak to a member of our team on 0800 072 3444.